This is a bumper year for El Anatsui, who will not only represent Ghana at the Venice Biennale but also has his largest retrospective to date—El Anatsui: Triumphant Scale, currently at Munich’s Haus der Kunst and travelling to Mathaf Doha and the Guggenheim Bilbao. 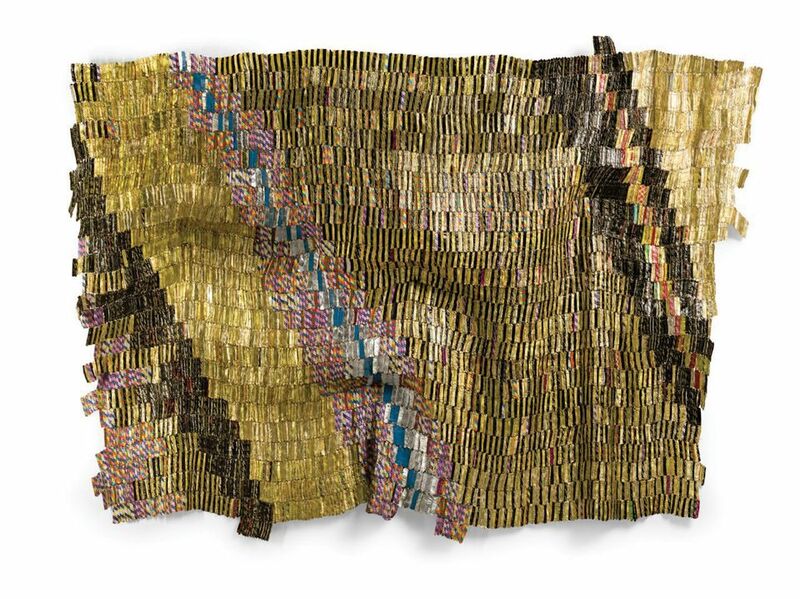 One of the glittering metal tapestries that El Anatsui is best known for, this 2007 work is made from aluminium bottle caps and copper wire, and references the traditional kente textiles of the Ashanti people of Ghana. The price seems conservative as it is not uncommon for El Anatsui to fetch over £1m at auction—last year, a similarly sized tapestry sold at Christie’s for £1.1m. Gino de Dominicis, Senza Titolo (Untitled, 1992). Thinking Italian Milan, Christie’s Milan, 3-4 April. Estimate €100,000-€150,000. Gino de Dominicis is a rather elusive figure—his death in 1998 was treated with suspicion due to the artist falsely reporting it in a biographical essay some years before. Taking inspiration from Sumerian mythology, this work merges abstraction with ancient symbolism, depicting the flattened profile of an eagle, an animal central to the Sumerian belief system. Thanks to an ongoing investigation into fakes of De Dominicis’s work, solid provenance is increasingly important and this painting has a long exhibition history, shown at both the 1993 Venice Biennale and the artist’s 2008 solo exhibition at MoMA PS. A similar, though considerably smaller, painting sold at Sotheby’s in 2018 for €112,500. White’s charcoal drawing of Caliban—the enslaved character of the same name integral to the plot of The Tempest—is his only known rendering of a Shakespearean figure and has not been shown publicly since it was bought from the artist by the consignor. 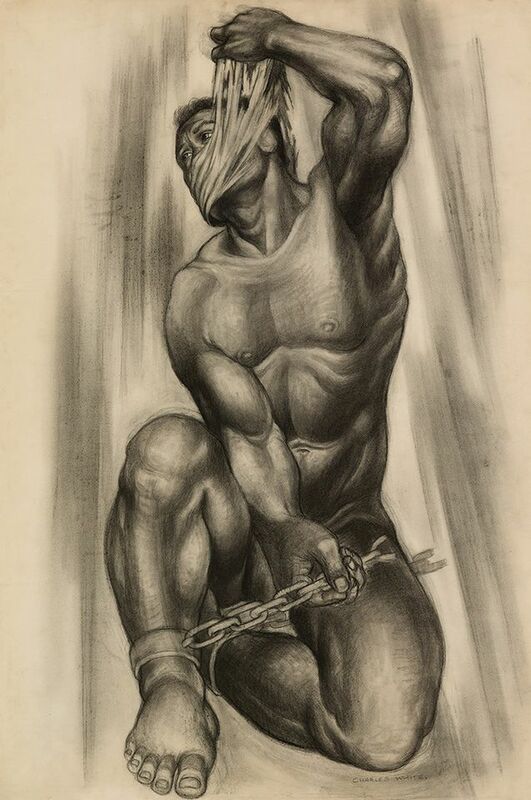 Caliban’s dramatic, muscular form embodies White’s interest in “depicting black figures on a heroic scale”, says Nigel Freeman, Swann’s director of African-American Fine Art. White’s work has been fetching ever higher prices at auction, fuelled by the current travelling retrospective dedicated to him. 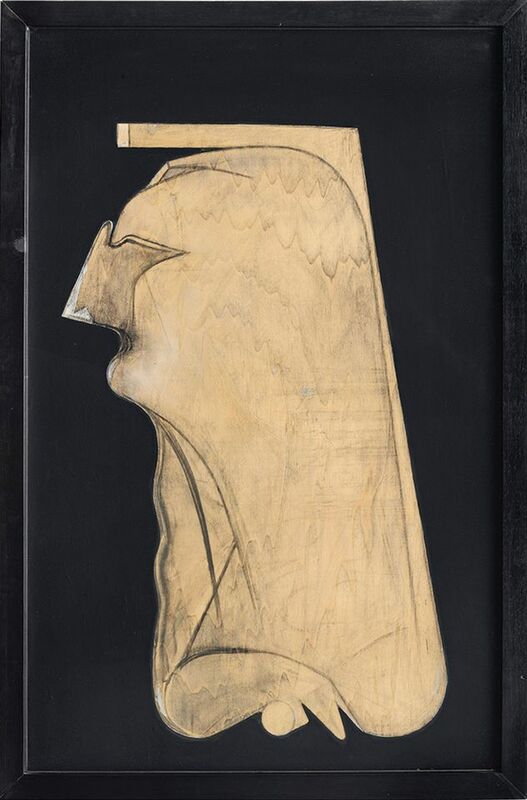 The sale of the 1965 drawings Oh Freedom and Nobody Knows My Name, both of which sold for around $500,000 at Swann in 2018, set the current auction record for the artist. 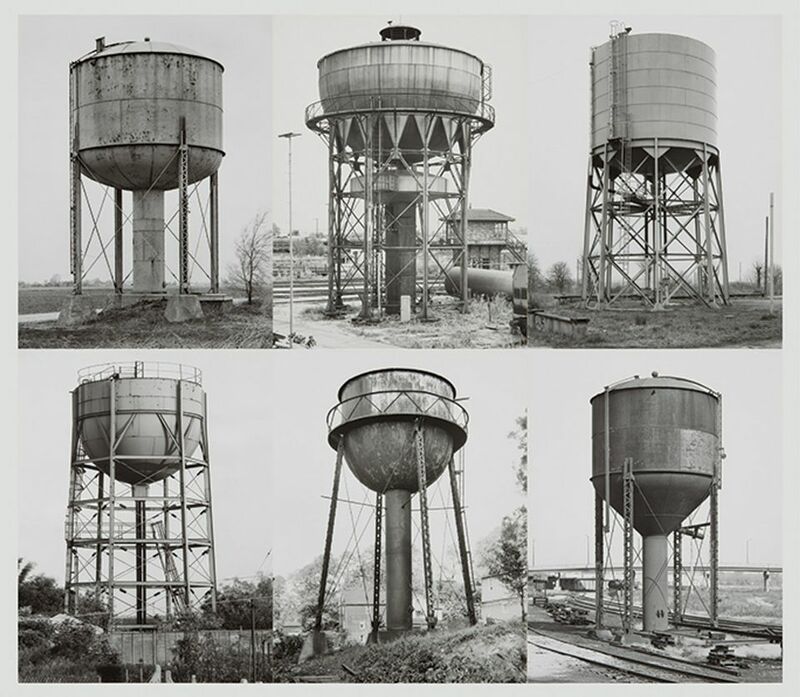 Water towers are one of Bernd and Hilla Becher’s most recognisable motifs. Part of a series of photographs taken during the German couple’s travels through the US and Europe to capture industrial structures—what they called “anonymous sculptures”—most of these works were done in a large-scale format, though this smaller set of images is a bit of an exception: the six gelatin silver prints mounted on board are each approximately 16in tall. 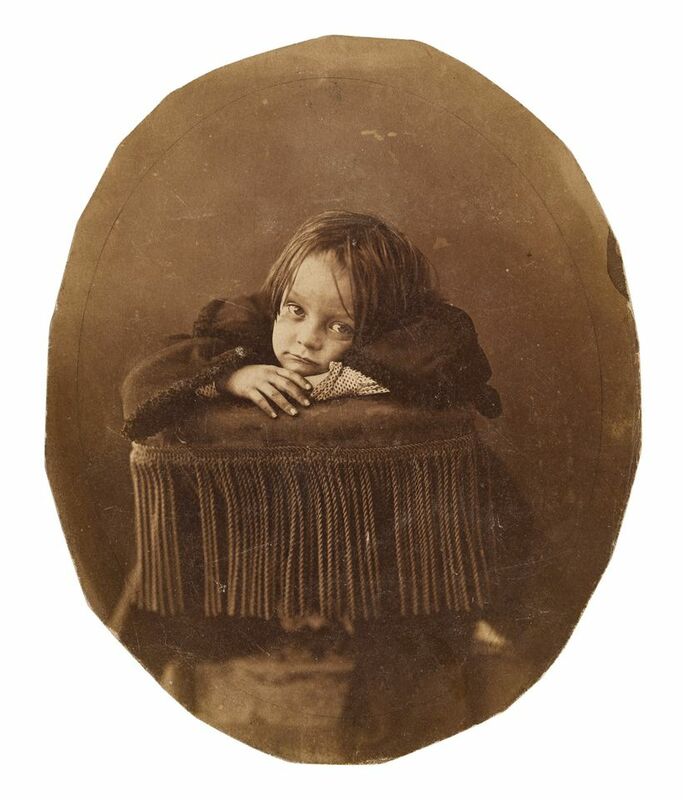 Félix Gaspard Tournachon moonlighted as a journalist, caricaturist and balloonist under the pseudonym Nadar before he and his brother, Adrien, launched a Paris portrait studio in the early 1850s under the same name. Yet, as brothers, they were often reluctant to share and quarrels quickly ensued; by 1853 they dissolved the business partnership, but not without a bitter fight over who got to keep the Nadar name. Félix won and quickly propelled the studio to prominence, photographing some of the biggest names of the age such as Sarah Bernhardt, Claude Debussy and Eugène Delacroix. He also captured his son, Paul, in this highly unusual tondo print that has a sketch of the child’s face on the verso side. The young Düsseldorf-based painter Vivian Greven draws inspiration from the subtle eroticism of Classical and Baroque sculpture, taking cropped images of parted marble lips or barely touching fingertips and working them into her pared-back, pastel-hued paintings—as in Lamia IV. Greven also makes sculptures and installations, and her work is in a number of museum collections, such as the Kunstmuseum Stuttgart. 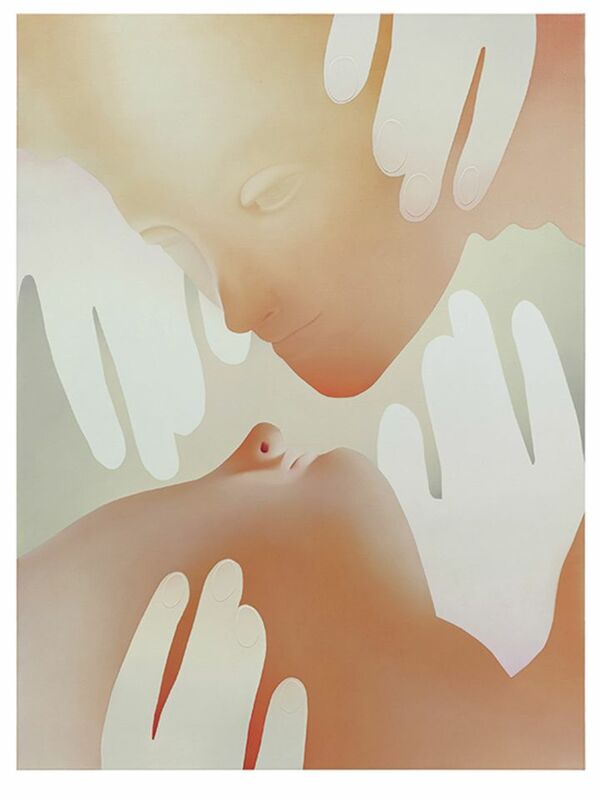 This is the first time her work will be shown at Art Cologne by her Düsseldorf gallery Kadel Willborn, which describes her paintings as playing with “notions of bodies, being and representation, with concepts of classical antiquity merging with pop art and digital image worlds”.